Please join us for a chance to gather with other DSA families for food and friendly conversation, followed by a program on strategies for students and families for managing the stresses of school and life in general. For more information and to sign up to bring a food or beverage, visit the Calendar page. Child care will be available, courtesy of NHS volunteers, so feel free to bring younger family members too! Delivery Pick-up at DSA during the Winter Potluck (Dec 13, 5pm in the Media Center). Option to have it delivered directly to your mailing address (shipping fees apply). UNC Asheville está teniendo su segundo casa abierta latina este sabado, Sept 10 de 9:00 am - 1:00 pm. El propósito de este evento es exponer a los estudiantes latinos a todo lo que UNC Asheville puede ofrecer, y para dar una idea del proceso de admisión a la universidad. Nos encantaría que los estudiantes locales esten informados sobre este evento, cualquier ayuda sería muy apreciada. Si usted o alguno de sus estudiantes está interesado en atender, por favor mande correo electrónico a Bretaña Privott en bprivott@unca.edu. How about some Zumba classes after school? You know you want to and you definitely deserve it! Find out more on the What's new...? page! Delivery Pick-up at DSA during the Winter Potluck (Dec 14, 5pm in the Media Center). Option to have it delivered directly to your mailing address (shipping fees apply). Help Welcome Our Teachers Back to School! 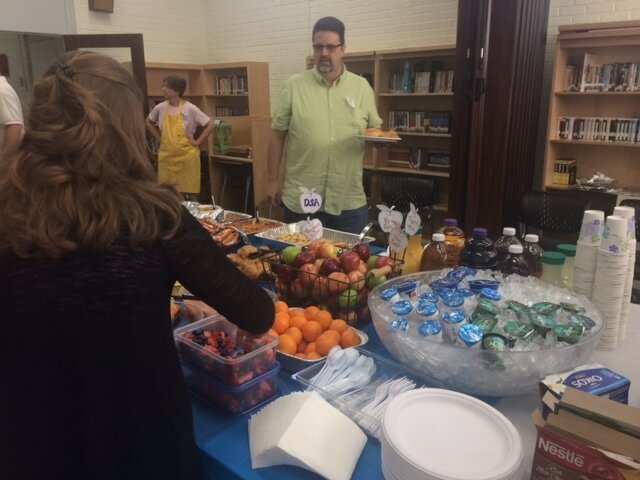 Help us welcome our fabulous faculty back to school by contributing an item to the Welcome Back Breakfast at the Media Center on August 22. You can bring donations to the media center on Tuesday morning at 7:30am or you can drop off donations that do not require refrigeration with DSA parent Andrea Ginsberg at her South Durham business. Please click on the link to make a contribution - thank you!! The Fall 2017 Spirit Wear Campaign is Live! Your purchase of a DSA logo shirt or Bulldog raglan tee helps provide DSA teachers with needed funds in supportof classroom initiatives, field trips and technology. ﻿Click here to purchase online until Sept 10th. The DSA PTSA is currently looking for nominees for its 2017-2018 Board. If you are interested in joining the board, please submit the nomination form by clicking the link below. The PTSA general body will vote on all nominated positions at the general body meeting. If you would prefer to sign up for a committee, that link is below as well. Please donate, every cent counts! It's fundraising time for the DSA PTSA. We do not employ fundraising techniques such as selling candy, but rather, we ask for a one-time donation to provide the money our school really needs. There are over 1500 families at DSA and if the majority participate, we can have a tremendous impact. Green means Go Donate: Look for the green-colored box with the "Donate" button to make your secure online gift. And don’t forget to request a matching gift from your employer if available. Our goal this year is to have at least 500 families join in support. Contributions in any amount will be used to support our students. Please contribute today. MCHS is a magnet school at Durham Public Schools high school, accepting students from Durham Public Schools, Orange County Schools, and Chapel Hill-Carrboro City schools. It is for 11th and 12th graders who would like to challenge themselves by taking honors level high school courses, and college credit courses at Durham Technical Community College (DTCC). Students may graduate from high school with up to an Associate Degree. Your tuition and books are free. If you are interested please sign up for a tour at mchs.dpsnc.net or contact your high school counselor for more information. The School Improvement Team is looking for parent representatives. The team is made up of DSA teachers, staff, community reps and parents. It meets once a month at 5 pm to discuss topics important to our school community. If interested, send an email to Helen Cunny at cunnyh@niehs.nih.gov. 2 Groupons from The Watkins family. 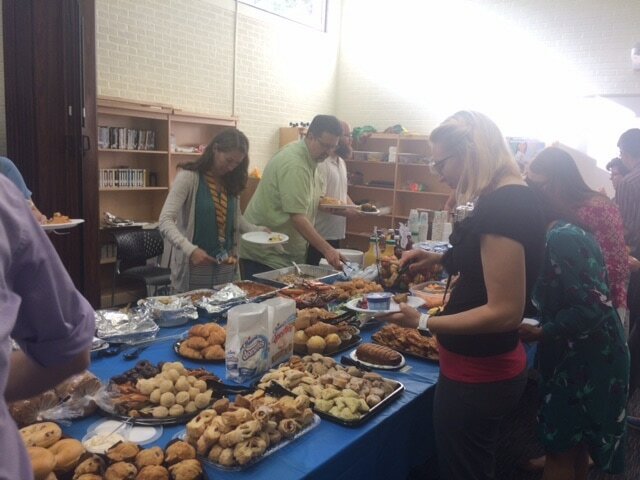 You help make DSA a great place for our wonderful teachers and staff - thanks again! Monday – Supply Day! Check out the teacher wish lists by clicking the DSA PTSA LOTS (Love Our Teachers & Staff) page and bring supplies in on Monday (or any day next week that works for your family). Tuesday – Breakfast! Make a donation to the Teacher and Staff Appreciation breakfast by clicking on this SignUp Genius link and bringing your donation in by 7:00 am Tuesday morning to the Media Center Conference Room. ALL WEEK – Raffle prize donations! We’ll be raffling off small prizes and treats to the faculty and staff each morning during the announcements. If you can donate a gift card of any variety of small ($5-10) value towards this, please bring it to the Main Office to the PTSA mailbox by Friday, April 28th. ALL WEEK – Thank You Cards! Please express your appreciation to the teachers and staff who have been important to your student’s DSA experience through thank you notes and cards. We will have a note card writing station in the hallway outside the LMC all week, where students and families can sign the THANK YOU poster and write note cards to specific teachers and staff. We’ll deliver those to their mailboxes. Thanks for supporting our fabulous teachers and staff next week and all year! The DSA PTSA is currently recruiting parents and community members for various open PTSA positions. Please consider volunteering for one of the positions outlined below. Commitment to the position and willingness to learn are the only prerequisites as training will be provided by board members. If interested please email the board at president@dsaptsa.com or vicepresident@dsaptsa.com. Membership: Presence at DSA events to sign up members - need someone outgoing and driven. Family Nights Out: Coordinate quarterly events for DSA families to come together as a community (ex. Bowling, Durham Bulls, Game Nights). On behalf of Durham School of the Arts, the DSA PTSA would like to thank all contributors who helped exceed this year's Capital Campaign fundraising goal and make it one of the most successful campaigns on record. Your generosity will directly benefit your child and allow DSA to enrich the educational experience and support the intellectual growth of each of our students. If you weren't able to participate during the campaign and are interested in donating, you can still do so by heading to the 'Green means Go Donate' area, located at the bottom of this page. Join the DSA PTSA on Wednesday December 14th at 5pm in the media center for a winter potluck to celebrate the holidays. We will have food, music and a performance by the DSA flute choir. We will also have a quick PTSA meeting to end the year. There will be a teacher raffle of gift cards from area businesses to show our appreciation for all that they do for our students! Please sign-up, if you would like to bring an item to share. College Foundation of North Carolina (CFNC) is a free service of the State of North Carolina that helps students plan, apply, and pay for college. CFNC is a partnership of Pathways, the N.C. State Education Assistance Authority, and College Foundation, Inc.
DSA Theatre, Troupe 5765 (in partnership with Duke University) is proud to host Castle Theatre Company of Durham, England, on their USA Tour! ALL proceeds for this performance will support DSA Theatre, Troupe 5765! ​Are you interested in traveling abroad? Have you always wanted to get a passport and experience another country’s culture? Would you like to practice some language skills? Mr. Ervin and Ms. Zee are taking DSA high school students to Costa Rica in July 2017 and to Greece and Italy in July 2018. We will have a parent-student interest meeting on Wednesday, September 21 at 7:30 pm in the media center. Please see Mr. Ervin in D209 or Ms. Zee in C 215 for more information about this opportunity. Bookmark the Student Services Announcements webpage and check back frequently for information on college fairs, college visits, student development opportunities and more. See this page for information on upcoming college fairs. Pay attention to registration deadlines for ACT and SAT tests. Test dates do fill up, so register early if you can. Durham School of the Arts will be offering its fall Driver Education class from September 12th to October 3rd in the main cafeteria from 4:30pm to 6:30pm. Each of our high schools will use the “lottery” for students to be in a classroom driver education session. Students/Parents may sign up at the school of their choice in the Main Office between the hours of 8:30am – 4:15pm from August 29 – September 7. The cost of the class will be $45. Due to the fact there have been a large number of returned checks you may pay the $45 by “money order” made out to “Durham Public Schools” or $45 in cash – no checks will be accepted. The $45 is paid on the first day of class!!! Did your kids outgrow their clothes over the summer? ​This week DSA is hosting a Schoola clothing drive! It's time for the annual DSA PTSA fundraiser! We do not employ fundraising techniques such as selling candy, but rather, we ask for a one-time donation to provide the money our school really needs. There are over 1500 families at DSA and if many participate, we can have a big impact. Mail or drop off your donation to the school office (Please make checks payable to DSA PTSA). special projects requested by teachers, teacher appreciation and more! Every dollar donated will help us support a great school experience for our students and fund teacher projects. Any donation amount is greatly appreciated! Our goal is to have at least 500 DSA families supporting our students and PTSA with donations, so please do your part and send your contribution today. Thank you for your consideration and support in making DSA great! DPS Traditional Calendar - This is the traditional school calendar showing all school holidays, early release days, etc. NOTE: This calendar is not updated to account for snow days. Vengan a formar parte del “Circulo de Padres Hispanos”. Nuestra primera reunión sera: 30 de abril, 2:45-3:45 pm en la iglesia Trinity Avenue Presbyterian Church (al lado de la escuela DSA, en la esquina de Trinity con Gregson). CFNC.org offers many resources for students of all ages. If you haven't visited their website, why not start here and choose parent or student from the menu on the right. Information about SAT and ACT test prep and study aids for other subjects have been added to the "parent resources" page. Meetings: Monthly board meetings are held every 2nd Wednesday at 5:30 p.m. in the DSA Media Center. While this is primarily a business meeting, it is open to all, and we welcome anyone interested in participating in the PTSA. Note: The date may change due to holidays or school vacations, but you can always check the events calendar to confirm. The PTSA holds two general membership meetings each year, one in September, and one in May. Check the events calendar for the exact date and time. Don't miss the chance to apply for the scholarship/s which are meant for you. This year all scholarships will be on the Durham Public Schools' website. Click on "Scholarship List" link on the far left side of the DPS Student Resources page. Are you looking for a summer job or internship? Try this resource at indeed.com. DSA Students, why not join a club? Joining a club is a great way to meet other students with similar interests, have fun, gain leadership opportunities, or get volunteer hours (all good for building your college resume!). Teachers at DSA currently sponsor more than 20 clubs! Is your favorite activity not on the list? Start your own club. You'll need a plan and to find a teacher willing to sponsor the club, but many clubs get their start this way. DSA is excited to announce that a FILM PROGRAM PATHWAY will be offered at Durham School of the Arts beginning in 2016. What started as a class of three students in 2003 has become a class of 19, PLUS an after school club that meets weekly to write, produce, shoot and edit student made films. Please consider donating in support of this new pathway. You can read more about the program on their GoFundMe page. 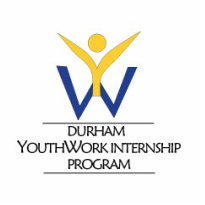 The Durham YouthWork Internship Program offers Durham youth, ages 14-21, the opportunity to gain work experience and develop skills while connecting with City and County jobs, and in various businesses around the City of Durham. The program operates through partnerships between the City of Durham, Durham County, Durham Public Schools, The Durham Workforce Development Board and the Raleigh-Durham Electrical Joint Apprenticeship Training Council. The recruitment period begins the 2nd week of February each year. Employment opportunities are not on a first-come, first-serve basis. An application process is conducted and the best qualified candidates are referred. For more information click here and scroll down to Durham YouthWork Intern or visit Durhamnc.gov and search for Durham YouthWork Internship. Remember to visit the DPS student resources page for information on graduation information, preparing for college and other stuff you need to know. Sign up for the DSA Daily Announcements via email from Ms. Hudson by joining the dsaannounce Yahoo! Group. Just send an email with the subject line "Subscribe to Daily Announcements" to lynn.hudson@dpsnc.net from your email account. Show your school spirit, or help someone else show theirs! We have a great lineup of PTSA Spirit Wear including t-shirts, polo shirts, hoodies, bags, and more! These items make great gifts for students & their families. To place an order, visit our online store or fill out this order form and drop it off with your payment at the front office. Here's an image of the DSA logo which will be embroidered on all items.